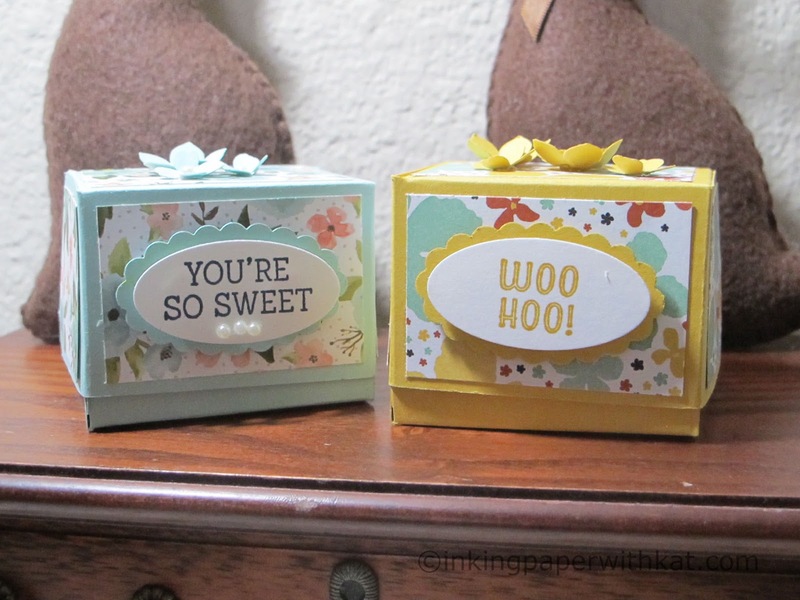 I love making boxes. 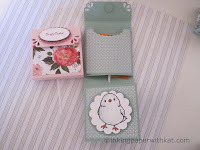 A small treat or gift seems so special when it is presented in a beautiful handmade box. This box is not as difficult to make as it looks. 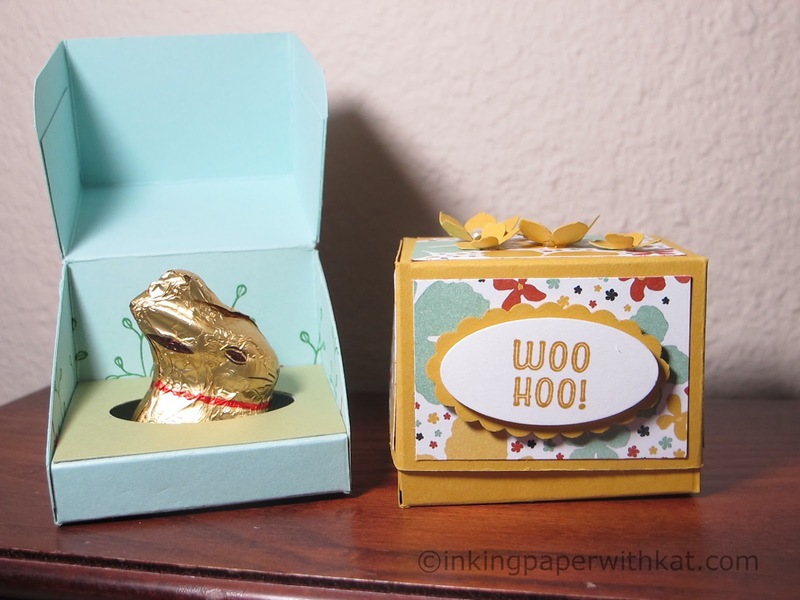 My box is holding a Lindt Chocolate Bunny but there are so many other things you could use it for. For a PDF with all of the measurements click here. 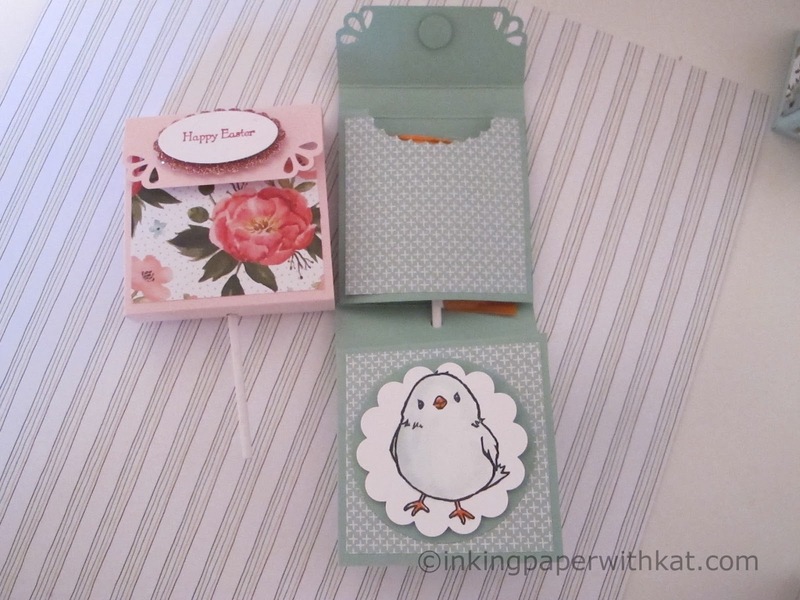 Then watch the video tutorial for directions on how to assemble your box. I hope you enjoy making the box. Let me know what you put it in for that someone special. Easter is almost here and spring is just a week away. The perfect time of year for giving out small treats that say I'm thinking about you. 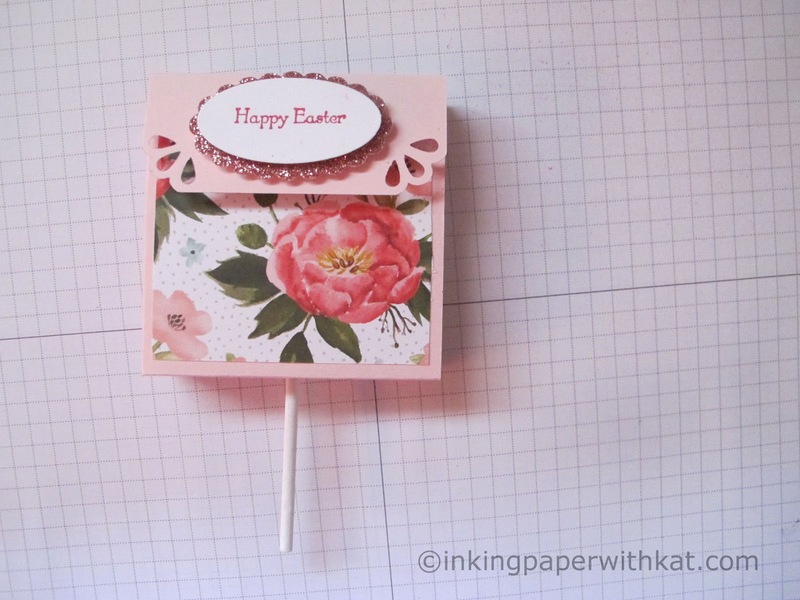 And this cute lollipop holder does the trick because it is also a card! 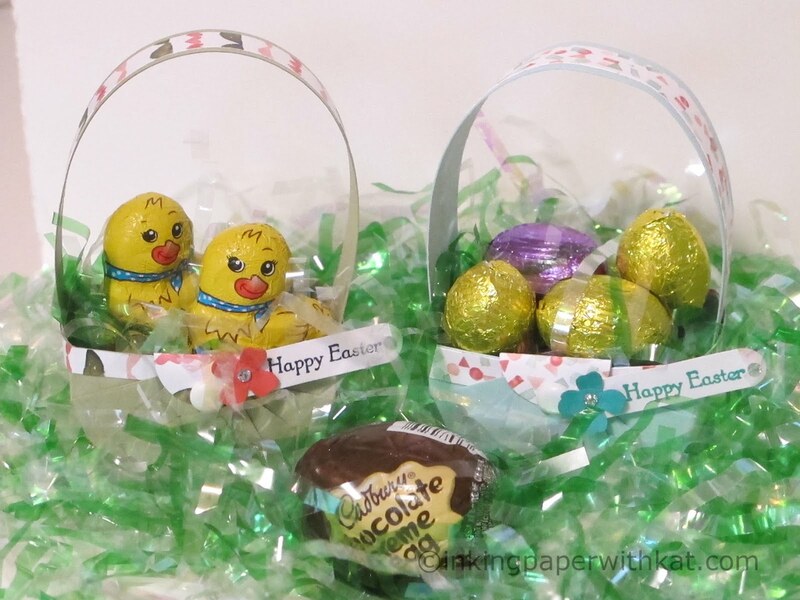 So dress up those sweets for someone special. All of the measurements and directions are in a PDF you can download here. I also have a video if you would like to see how to make the project. 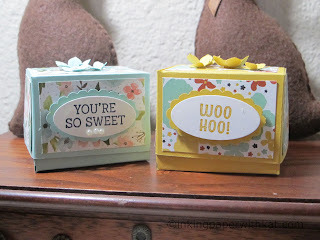 All of the supplies are available from Stampin Up. If you would like to purchase anything please click the Shop Online button at the top of this page. Spring birthdays are coming up so it is time to create some special cards. 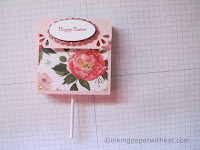 The gorgeous DSP in the Stampin Up Birthday Bouquet pack inspired this card. It is a standard 4 1/4 x 5 1/2 inch card made from Mint Macaron cut at 5 1/2 x 8 1/2 and scored on the long side @ 4 1/4. The white mat is 4 x 5 1/4 and the DSP is cut at 2 1/2 x 5 inches. I used the Botanical Builder framelits to create the flowers. The greeting is from the Party Pants set that is available in the Sale-a-bration catalogue. It is free with a $50 dollar purchase from Stampin Up. The sale ends March 31, 2016. The greeting was punched with a 1 1/2 inch circle punch and layered on a 1 3/4 inch scalloped circle punch. 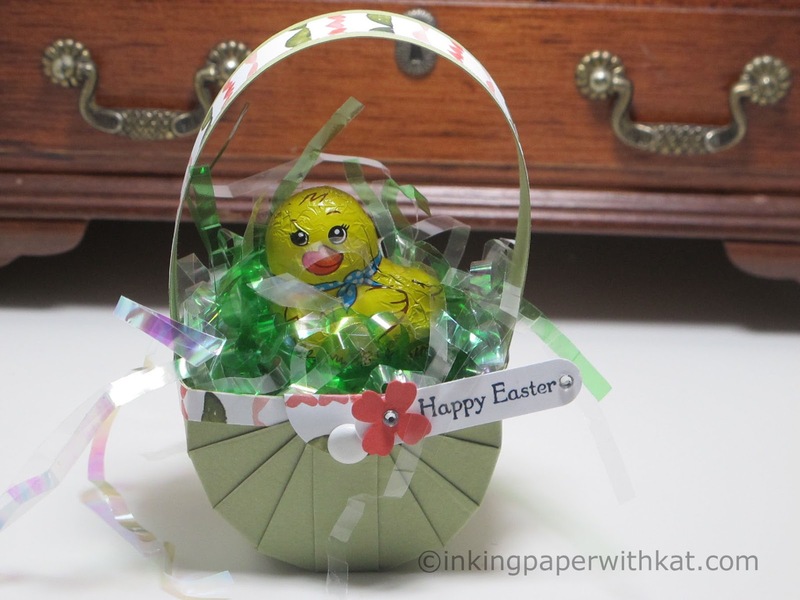 This little Easter basket will make a cute treat for someone special. 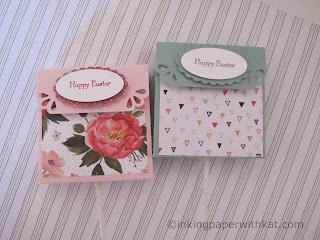 Use it as a table gift for Easter, a teacher's gift, small treat for friends or coworkers or in a larger Easter basket. It could also be made for May Day with a longer handle to hang from a door knob. For all of the measurements and instructions click here to download a PDF. Check out the video to see how this is put together. I hope you enjoy making this project. To order the supplies used just click on the Shop Online button at the top.